Today marks the beginning for the blog carnival for Blogging for Endometriosis Awareness & today’s topic is physical aspects of endometriosis and its affect on your life. Over the last couple years I have shared how my journey with endometriosis began, the multiple surgeries, and how the pain from endo has caused me to redefine my womanhood. My day-to-day struggles are documented in posts throughout the last several years so while I was laying in bed yesterday, I pondered how to share how endometriosis has impacted my life on a physical level that I haven’t already shared. I think one side of endometriosis (as well as many chronic illnesses) is how it impacts your energy levels and so often leaves you with almost a chronic exhaustion. This is not a type of exhaustion where a nap will be the perfect pick-me-up and leaving you feeling much more refreshed. It is not a type of exhaustion where heading to bed an hour or so before normal or sleeping in a bit late will put you back on schedule. This type of exhaustion is a relentless fatigue that hits you straight to your bones. A type of exhaustion where your muscles feel like you’ve just run a marathon. A type of exhaustion where no amount of time spent in bed can cure. This side effect of endometriosis can often be the hardest one to explain as often this type of exhaustion can hit at any moment without notice. It is also tough to explain how being in bed does not necessarily equal relaxing nor does sleep mean true rest. With this side effect an endo warrior must not only learn to plan ahead but also learn how to let go of plans without guilt. I have learned over the years what type of activities will require a day or so to recuperate. For example, if my family takes a trip to the beach which is roughly a 4 hour drive, I know not to plan a lot of activity the first day so I can try to recuperate without causing a major flare. At our trip to Disney, we knew to plan our days accordingly. Learning to plan is just as important as learning how to un-plan as often flares and fatigue can hit without notice or trigger and it is important to learn how to say no in those instance AND not feel guilty in the process (with much emphasis on the last part of that statement). If you have endometriosis, or another chronic illness, what has been on the the biggest physical changes that have taken place in your life because of illness? It is finally here! Endometriosis Awareness Month is finally upon us! Let’s kick off by sporting our yellow proudly! 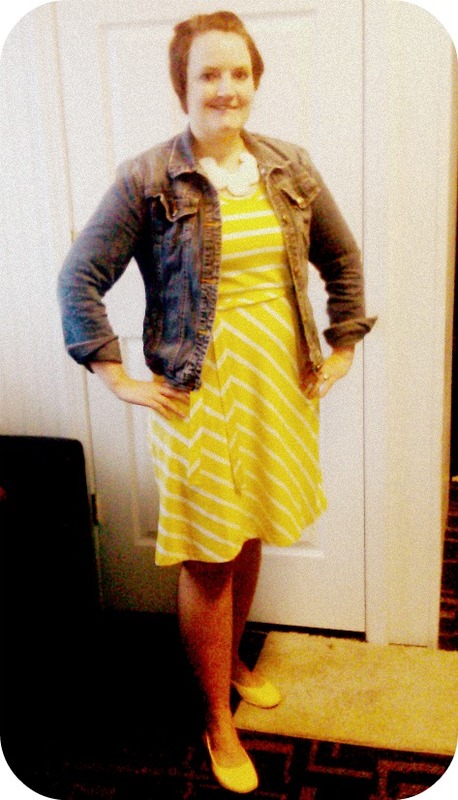 So excited to see how beautiful all of you are!I am proudly sporting my yellow dress from Old Navy and even yellow shoes courtesy of ebay! 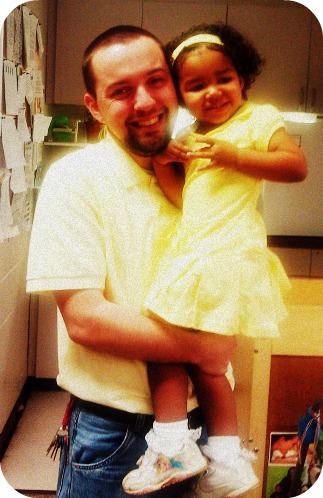 Updated: My beautiful family sporting their yellow as well! Use the linkup below to link up your blog post!